The least one can say is that the situation in Algeria is quite strange. At the time the military intelligence services are drawing from the state’s slush funds, fueled by gas and oil revenues, to finance the Polisario Front, tougher austerity measures are imposed on Algerian citizens. 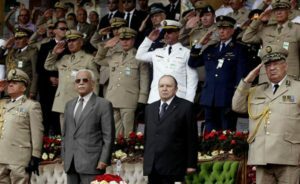 The Algerian regime, which acts only under the orders and instructions of the military oligarchs, has never revealed the amounts of petrodollars it has allocated since 1975 to the functioning and propaganda of the Polisario separatist Front. Moreover, political parties and trade unions of both the majority and the opposition never dared to question openly the executive on this subject, deemed taboo in a country where opacity is the rule. Even the media, including the independent media, rarely address this issue considered “Secret d’Etat” and if they do, they tackle the issue tentatively to avoid closure and systematic prosecution. Addressing one of the facets of Algeria’s financial support to the Polisario, the Algerian website of Berber Kabylie “Tamurt.info” denounced on Saturday, July 21, the monthly scholarships worth €1400 that the Algerian Government has been granting to Sahrawi students from the Tindouf camps attending universities in Spain or Cuba, and this since 1975. In other words, “it is with the money that Algerian workers and tradesmen pay to the public treasury that these scholarships are granted to the Polisario militants,” commented the author of the article. Meanwhile, Algerian students are not entitled to such a privilege. They are often obliged “to work abroad to finance their studies, sometimes by doing housework (…) An injustice that few Algerians know, » he added. “In these particularly lean times, Algerians are subject to a policy of austerity, but the Algerian regime continues to spend billions of dollars just to fund the Polisario,” laments the author of the article.